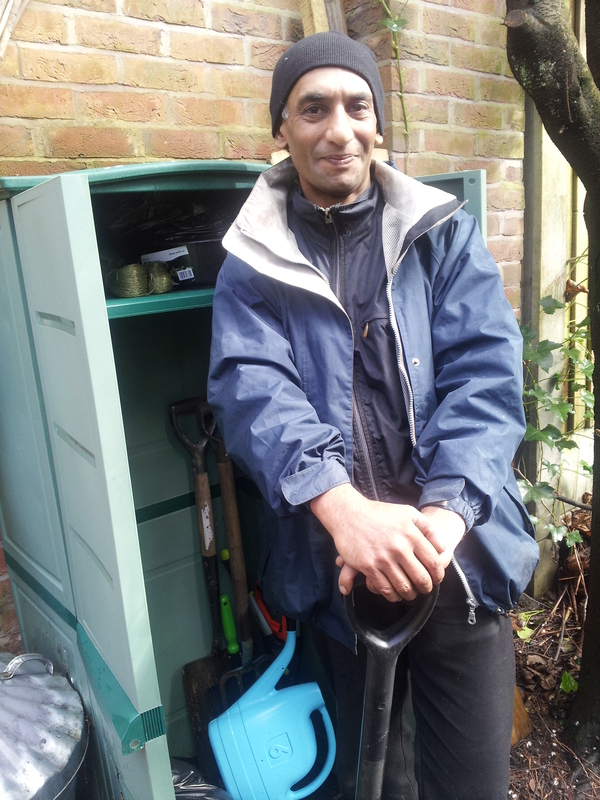 Eat Green (UK) is delighted to launch two new garden tool libraries in South Manchester. The first will be located at Westcroft Community Centre, 24–26 Westcroft Road in Burnage. It is launching in time for National Gardening Week – the country’s biggest celebration of gardening, organised by the Royal Horticultural Society. A second library is expected to follow in May, based at Didsbury Library. Both tool libraries will be equipped with a range of garden tools, from hand forks, trowels and secateurs through to larger items, such as spades, hoes, and shears. All tools can be borrowed for up to 3 weeks, free of charge. The tool library in Burnage will run on Fridays, 1:30-3:30pm, except public holidays, and the Didsbury tool library will be staffed during the library’s regular opening hours. Says community gardener, Anna Builek, from Cheadle: “I personally think that ‘share’ will be the new ‘have’. The scheme gives people access to tools that they might struggle to buy a whole set of, or have limited space to store. Let’s be honest – my spade is most probably used for a month worth of digging, and then sits idly in the shed for another 11 months. It’s a great idea for using resources efficiently – very green. And who knows, it might create a synergy effect. If someone shared something with me, perhaps next time I might share something with others”. Eat Green, which has provided the tools, aims to equip people with the skills needed to grow and cook meals from scratch. According to the National Society of Allotment and Leisure Gardeners, households could save around £1,300 per year by growing their own food – an amount that is only expected to rise in line with food prices. Eat Green also operates a local landshare scheme, linking people who want to grow their own fruit and veg to rent-free spaces where they can grow it. It currently has plots available in East Didsbury, Didsbury Village and Withington. Please contact Amanda Woodvine if you would like to find out more. (For updates about Eat Green’s work, visit its Facebook page or follow @EatGreenUK on Twitter. This entry was posted in Campaign Update, press release journalism, volunteer opportunity and tagged Burnage, Fallowfield. Bookmark the permalink.